Unibet Casino was reviewed by gambleNEXT.com and earned a 9.5/10 rating. Unibet Casino is part of the Unibet family, one of the top online bookmakers in the world. Unibet Casino is operated on two casino platforms (NetEnt for flash version, playable from the web browser, and MicroGaming for download version, software requires installation on your PC offering better graphics and sounds). Unibet Casino also offers live casino games with live dealers in a series of games such as roulette and blackjack. The thrills of playing casino games are doubled by an amazing registration bonus of up to €300. The on site / web browser casino from Unibet is now restructured in Unibet Casino Red and Unibet Casino Black. This means even more casino games are available for players, with casino tournaments and larger jackpots. Every day, players from around the world reach the Unibet Casino Hall of Fame after hitting a win, and you could be one of them. The ease in creating a player account, depositing and playing with Unibet Casino, access to other sections such as sports betting, poker, bingo or skill games recommend Unibet Casino as the main option for our players. When you register your Unibet Casino account, you will be asked if you have a bonus code. Check below our latest Unibet Casino bonus code to use and get your maximum bonus. NO promo code required. Register from the new window, deposit and get your exclusive bonus. The Unibet Casino bonus is offered as a deposit bonus up to a total of €200 over the first deposit. Register with Unibet.com Casino and enjoy a great bonus to be used on a multitude of casino games. Bonus match is to be offered based on the currency you choose on opening your Unibet Casino account. Unibet Casino has no mobile version at the moment. 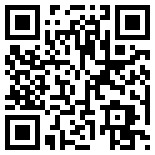 To check online casinos with mobile version visit m.gambleNEXT.com from your mobile device or scan the QR code to the right. Check below what other users have to say about Unibet Casino or write your own review if you have used Unibet Casino. This casino is one you can trust. I have been playing at this brand for long time, losing and winning, kept quite balanced for most timed. But I had a nearly $10,000 win on casino slots and I had emotions there might be problems in paying my winning, but there was absolutely no delay. Got my money to my account just as before, with no other questions asked once I have been verfied years ago.